Jeff concentrates his practice in intellectual property and business litigation. He has represented clients in patent infringement, trademark infringement, complex commercial, class action, dealership, construction and product liability disputes. Jeff is uniquely qualified to advise clients on intellectual property issues. Before beginning his legal career, he designed and developed an implantable drug delivery system, for which he and a co-inventor were awarded Patent No. 4,762,517. He formed a company to market this and other medical devices, successfully completed a human clinical trial and obtained marketing clearance for the device from the U.S. Food and Drug Administration. Jeff’s subsequent consulting practice in medical device regulatory affairs and marketing led him to the legal profession. Representing clients in patent litigation involving technology in fields as diverse as recreational equipment, bicycle components, polymer coatings, composite flooring and life sciences. Successfully defending companies accused of trade secret misappropriation. 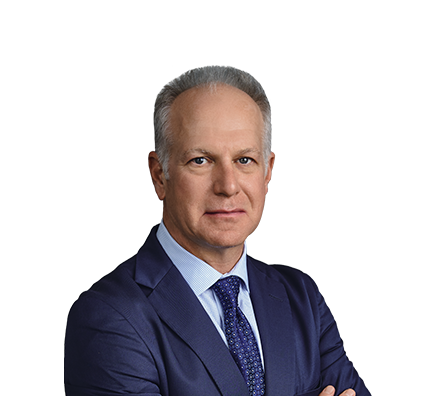 Jeff’s trial experience includes jury trials in jurisdictions nationwide, including the U.S. District Courts for the Western District of Wisconsin and the Eastern District of New York, and state courts in Illinois and Texas. He has also argued before the U.S. Court of Appeals for the Federal Circuit and has appeared in a number of appeals before the U.S. Court of Appeals for the Third Circuit, Seventh Circuit and U.S. Supreme Court. Successfully argued before the Court of Appeals for the Federal Circuit on behalf of a large industrial client. The Federal Circuit summarily affirmed District Court's dismissal of competitor's declaratory judgment action. First-chaired patent infringement trials involving electro-mechanical and biotechnology subject matter. Successfully defended a recreational equipment manufacturer accused of patent infringement by a competitor in a jury trial tried to verdict. Successfully prosecuted patent infringement complaint for large, diversified manufacturer against competitor accused of infringing patent covering epoxy coating technology. Successfully defended a manufacturer of recreational vehicles accused of trademark infringement by a competitor. One of a team that litigated enforcement of client's patent involving medical chairlifts, and argued appeal before the Court of Appeals for the Federal Circuit. Defended Fortune 100 company in patent litigation involving disease diagnostic technologies.